India is gearing towards implementation of GST. GST would have significant impact on international trade, one aspect of which is export of goods and services. 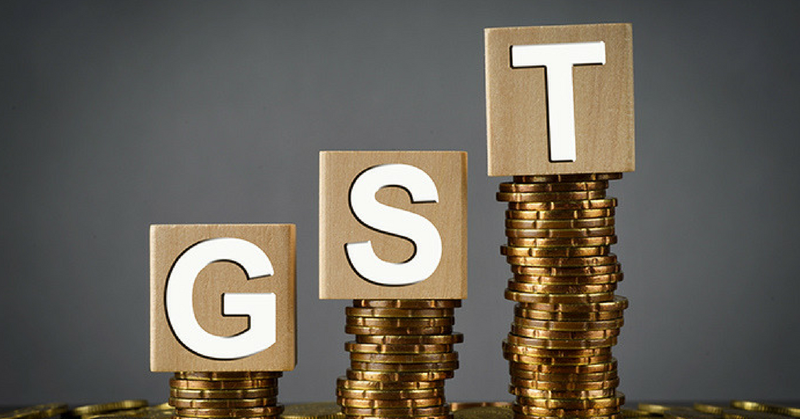 Acknowledging that the subsuming of major central and state taxes in GST as well as complete and comprehensive set off of input tax will reduce the cost of locally manufactured goods and services. The result is increased competitiveness of Indian goods and services in global market. Having said that, we should not forget that the export sector still faces stiff competition in global market and in this context, there are certain worries that are crippling export sector post implementation GST. In this article, we will be looking at the GST take on exports of goods and services together with position under current laws. Section 16 of Integrated Goods and Services Tax Act, 2017 (hereinafter referred to as “IGST Act) provides that the export of services and goods are zero rated supplies. Before benefitting from zero rating concept, it becomes important to understand how GST defines export of goods and services. We start by analyzing the definition of India. Continental shelf, exclusive economic zone or any other maritime zone as referred to in the Territorial Waters, Continental Shelf, Exclusive Economic Zone and other Maritime Zones Act, 1976, and the air space above its territory and territorial waters. GST extends to all the states except Jammu and Kashmir and Union Territories as well as covers 200 nautical miles from Indian baseline. Supply beyond territorial waters and up to 200 nautical miles is taxable but there is ambiguity as to whether they will be inter-state or intra-state as such supply does not fall in the given definition of the two under GST law. This analysis of definition of India paves the foundation for understanding the export of goods and services. What qualifies as export of goods under GST? ““Export of goods” with its grammatical variations and cognate expressions, means taking goods out of India to a place outside India”. This definition is similar to the definition of export defined in Customs Act. Simply put, to be called as export, the barrier of 200 nautical miles must be crossed. Here we will be discussing an interesting concept called “sale in course of export” under existing central tax laws which is wider than mere export sale. Such sale do not attract VAT or CST. Under GST, we do not see any reference as “supply in course of export”. The law uses just “export of goods” or “goods exported”. Going by definition of export under GST, all such sales as mentioned in point 2 and point 3 will attract GST as goods do not move out of “India”. This aspect needs a clarity from the government. What qualifies as export of services? The location of supplier of service could be registered place of business or any fixed establishment depending upon the location from which the supply is made. In absence of such places, usual place of residence of supplier shall be the location of the supplier. This is similar to existing service law definition. The location of recipient of service could be registered place of business or any fixed establishment depending upon the location which received the supply. In absence of such places, usual place of residence of recipient shall be the location of the recipient. This is similar to existing service law definition. The default rule for place of supply in case where either service provider or service recipient is outside India shall be the location of the service recipient. This rule is rebutted in case the address on record of the recipient does not exist with the exporter, in such situation, the place of supply shall be the location of the supplier of services. Renting of immovable property located in Chennai to a person residing in USA. In such a case, place of supply is location of property which is India. Agent located in India providing service to a London based exporter for selling goods to USA. Transportation service for goods provided for delivery of goods to China. Thus, place of supply rules would need to be evaluated on a case-to-case basis to determine the tax applicability on such services. The payment for such service has been received by the supplier of service in convertible foreign exchange. Even if the above three conditions are satisfied but the consideration is received in Indian currency or a currency other than convertible currency, the supply will not qualify as export. In that case, the same would be liable to IGST. This is so because IGST applies on inter-state supply and supply of goods or services or both where supplier is located in India and place of supply is outside India, is an inter-state supply as per Section 7(5) of IGST Act. For example, Let us assume that an Indian accounting firm provides accounting services to an entity located in USA. The payment for services is made in Indian rupees by Indian branch of USA entity. In such a case, though supplier is located in India, recipient is located outside India and place of supply is outside India, yet it does not qualify as export since payment is not received in US dollars. Please note that the condition of realization of proceeds in convertible foreign exchange is with export of services only and not goods. There is a gap here in terms of Foreign Trade Policy which provides that exports proceeds from Nepal and Bhutan can be realized in Indian rupees which, in that case, will not qualify as export of service under IGST. Hence suitable modifications are required. Explanation 1 in section 8 provides that where a person has an establishment in India and any other establishment outside India, then such establishments shall be treated as establishments of distinct persons. Thus, services provided to overseas branch would not be eligible as export of services due to specific exclusion for such transactions in the definition of “export of service”. Supply of goods or services or both where supplier is located in India and place of supply is outside India, is an inter-state supply as per Section 7(5) of IGST Act. In the GST regime, tax would apply on all services where the place of provision is outside India if they don’t qualify as export. This is contrary to the current service tax regime where tax does not apply in cases where the place of provision is outside India (irrespective of such service getting qualified as export). In case of export of Service, it is prerequisite that payment against services rendered must be in convertible foreign exchange but at the same time such condition do not exist in case of export of Goods. Having studied the scope of export of goods and services, we now move to discuss the taxation aspect of exports under the law. Exports are zero-rated in the present Excise, Service Tax, VAT law and shall continue to be zero rated in the GST Act. On account of zero rating of supplies, the supplier will be entitled to claim input tax credit in respect of goods or services or both used for such supplies even though they might be non-taxable or even exempt supplies. Export of goods or services under bond or letter of undertaking without payment of tax AND claiming refund of ITC as per Section 54 of CGST Act. Export of goods and services on payment of IGST AND claim rebate of tax so paid. No refund of ITC if IGST claimed to be refunded. In cases, where export of goods is subject to export duty, no refund of unutilized input tax credit (ITC) shall be allowed. Please note that export duty is applicable at present only on ores/steel. No refund of input tax credit shall be allowed if the supplier of goods or services avails duty drawback of CGST / SGST / UTGST. Similar options exist under Central excise for claiming refund of excise duties paid on inputs used in export goods or rebate of duty on exported goods. State VAT paid on inputs used in the manufacture of export goods is available as refund subject to submission of evidence of exports of goods. VAT claim is disbursed on the basis of proportionate input tax credit used in the exported goods or on standard input-output ratio. Under current service tax provisions, there is no scheme providing rebate of service tax on export of services. Alternatively, the exporters of services could seek refund of accumulated credit under Rule 5 of Cenvat credit rules. Further, only those input service will be eligible for refund of Cenvat Credit which has been used in providing output service which has been exported. Under GST Regime, exports, though zero-rated are treated as inter-State Supply and accordingly IGST can be levied and claimed as rebate by the Exporter. SGST (State GST) paid on input goods is available for utilization against IGST and accordingly the exporter can claim rebate of state taxes also against exports. This means an uninterrupted credit for all goods and services used in export of services and not just input services as in existing laws. On the flip side, concept of furnishing bond to export service without payment of tax does not seem appropriate. The exporter claiming refund has to file application for claiming refund within TWO YEARS from the “Relevant Date”. In any case the refund has to be processed within a maximum period of 60 days. Under existing laws, there is a time limit of one year from relevant date for refund application. 90% of the claimed amount can be refunded on provisional basis and remaining 10% after due verification of documents. The provisional refund would be paid within 7 days after giving the acknowledgement. The acknowledgement of refund application is normally issued within a period of 14 days but in case of refund of integrated tax paid on zero rated supplies, the acknowledgement would be issued within a period of 3 days. Currently, supplies made by the domestic units to SEZs are considered as exports and hence are free from payment of taxes and duties. Specific exemption is provided on services provided to SEZs. Technically speaking, SEZ fall within territory of India as per GST Law. However, supplies to SEZ unit and SEZ Developer have been treated at par with physical exports. Instead of treating supply as exports, supply of goods or services or both to a Special Economic Zone developer or a Special Economic Zone unit are zero-rated supplies. Currently, sales to DTA (Domestic Tariff Area) by SEZ units is regarded as import and is subject to all normal import duties, including Countervailing Duty, SAD, etc. There is no specific provision under GST law for supplies made by SEZ. This means that the SEZ units are treated as equivalent to any DTA firm or exporter. This will render SEZ equivalent to other domestic firms and are likely to attract different tax components of the GST—CGST, SGST or IGST. Hence they have to claim refunds of any unutilized input tax credits in GST. Please note that the definition of exports under GST law is at variance with SEZ Act. We need to synchronize the two to avoid the dispute. Definition of deemed exports does not change in GST. However, the list of supplies to be treated as deemed exports has not yet been notified. It appears that under GST law, the supplier of final goods, in the course of deemed export, will pay the IGST on his supplies and can claim refund subject to principle of unjust enrichment. This is opposed to current regime where supplies are made on duty exemptions, thereby impacting the financial outflow of the supplier. Currently, various incentives are available under Foreign Trade Policy as well as relevant excise and customs legislation for exports. The incentives under these schemes are mostly by way of exemptions with parallel notifications under relevant legislations (customs and excise). It is most likely expected that no such notifications would be imported into GST legislation. The next concern is about utilization of scrips such as MEIS or SEIS scrips. Currently, they can be utilized for payment of basic customs duty, additional customs duty, excise duties as well as service tax. It will not be erroneous to assume that their validity under GST may get limited to the extent of basic customs duty only. Government should consider their utilization against CGST and SGST. IEC is a 10 digit code issued by DGFT. It stands for “Importer Exporter Code”. To import or export in India, IEC Code is mandatory. Only one IEC is issued against a single PAN number. After implementation of GST, GSTIN serves as the registration number. It is a 15-digit alpha numeric number code with PAN prefixed by state code and suffixed by 3 digit details of business verticals of the PAN holder. It is worth noting that the GSTIN is not compulsory for all importers / exporters below a threshold limit of turnover, all exporters / importers may not register with GSTIN. Therefore GSTIN cannot become universal for export and import as is IEC. To overcome this problem, DGFT has decided that PAN provided at time of allotment of IEC will serve as IEC code and for new applicants, PAN shall be IEC. Where there is difference is PAN declared for GSTIN vis-à-vis PAN declared for IEC registration, amendment of PAN in IEC has to be undertaken. Going forward, importer/exporter registered with GSTN would need to declare only GSTIN at the time of import and export of goods. Hope the article provides all the necessary information related to taxation aspects of exports under GST law. Please let us know if there are any corrections or scope to improve the article. Stay tuned!